As private as it gets, Musha Cay and the surrounding three islands of Copperfield Bay are tucked away among the out islands of Great Exuma in southern Bahamas. On these islands, there can only be one group of guests, numbering up to 24, at any one time. Musha’s five exquisite residences feature their own private beach and ample indoor-to-outdoor entertaining space for gathering with family and friends. 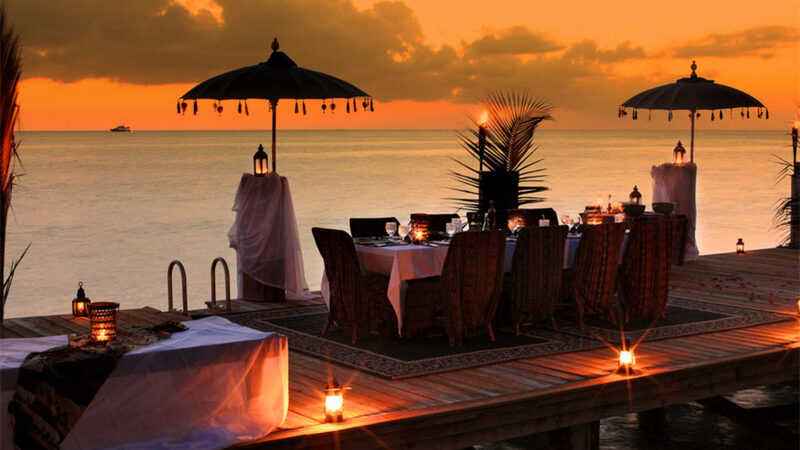 Setting Musha Cay apart are its creative experiences designed by illusionist David Copperfield – think masterful treasure hunts, adventures to a “secret village” and goldfish racing at the Musha 500. Days are magical, whether spent hitting the waves by jet ski or cuddling up in a hammock toes up. Dave’s Drive-in on the beach hosts movie nights with a multimedia theater boasting a giant, two-story silver screen. 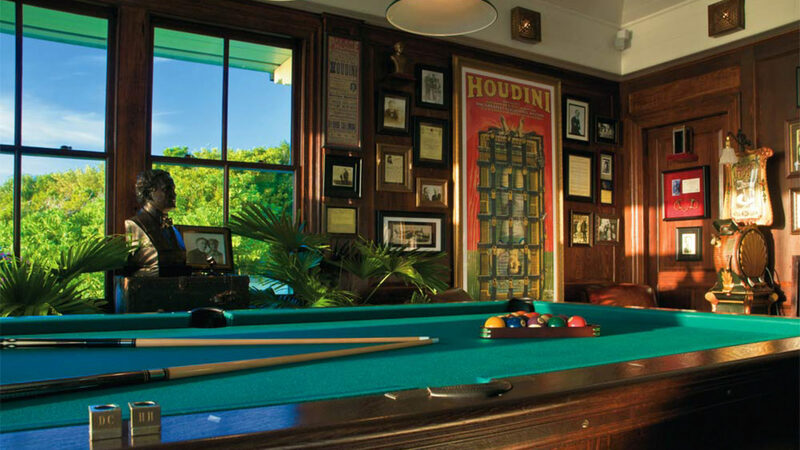 Nightcaps flow naturally during a pool match at Houdini’s own championship billiards table. Copperfield owns the place and Google co-founder Sergey Brin got married here; a guarantee that this little island is big on mystery and leaves no room for boredom. collected by David Copperfield during his worldwide adventures. its ten uninhabited neighboring islands. There is a soaring living pavilion, and two grand master bedroom suites, plus a cozy, hidden loft. The grounds feature expansive gardens, a steam room, an outdoor fireplace for romantic evenings, and it’s own private beach. Pier House, an artfully designed cottage of 3,200 square feet, features two master suites and a large and luxurious living and dining room. The front door opens onto its own private beach and a pier that runs straight to the endless ocean. A spacious 3,200 square-foot, two-bedroom beach house, Blue Point features two master suites and an expansive living and dining area. 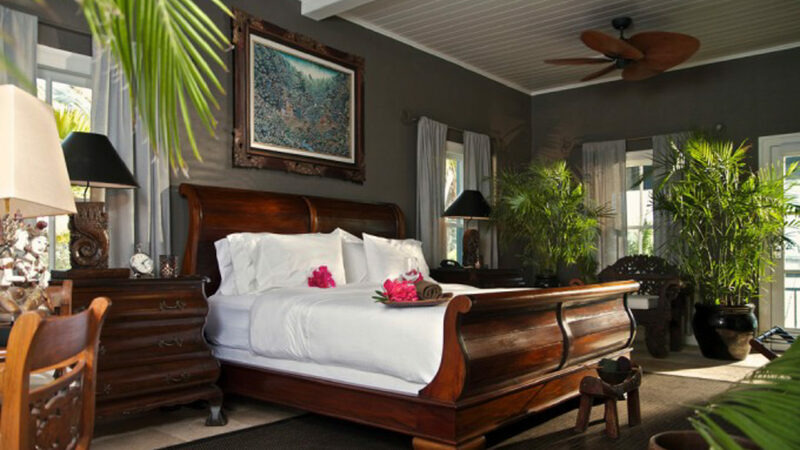 Intimate in feel and perched on a rocky outcrop, Blue Point is encircled by a wide, shaded wrap-around mahogany porch and located just a seconds’ walk from its own private beach. 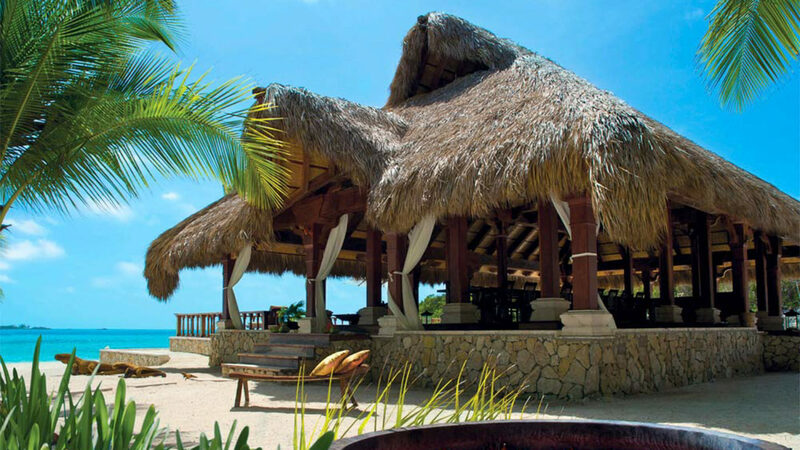 Perhaps the most romantic of the accommodations, Beach House is an open-air one-bedroom, thatched-roof cottage on a particularly secluded crescent shaped beach. This charming sanctuary is enclosed by a small gate, where a private beach unfolds inviting night time swimming under the stars. Palm Terrace is a 4,500 square-foot five bedroom home perfect for families, with two master suites upstairs and three additional bedrooms downstairs. A mahogany porch wraps around the home, and its spacious living room overlooks a beautiful patio for entertaining, and its own private beach. Musha Cay is 1.5 hours by air from Miami. Non-stop commercial flights, as well as private jets and charters, land at Georgetown Airport. Then, it is a 15-minute flight or scenic boat ride to Musha Cay. For Industry offers, Specials & fact sheets log into our travel advisor section.